We are still in the early days of August, and it has already been a busy month of television news. Just this week, CBS announced that it will take its CBS (CBS) All Access portal abroad and launch a digital sports network. The same day, cable channel FX announced it would launch an Internet-distributed service called FX+, which will provide commercial-free, on-demand access to many of its original series to Comcast (CMCSA) subscribers for $5.99 month. Topping the week, though, was an announcement from Disney that it will 1. launch an ESPN portal, and 2. end the deal with Netflix (NFLX) for its new movies, and instead launch its own direct-to-consumer movie portal. There aren’t a lot of details on these Disney (DIS) portals yet, and the details are important. Disney has offered the DisneyLife service in Europe for nearly two years and it suggests a likely model. The flurry of announcements this week indicates the arrival of a new phase of Internet-distributed video. 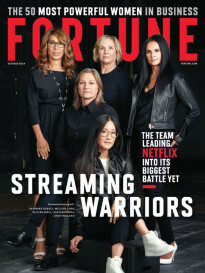 Since 2010, the major studios and networks allowed Netflix, and more recently Amazon (AMZN) Video, to acculturate viewers with a different television experience. This experience often required a monthly fee, but came commercial-free and allowed viewers to watch whenever they wanted and on most any device they desired. Now that a market for these services has been created, studios are taking their content back and taking it direct to consumers. And services such as Netflix that at first relied on studio content have pivoted as well. Now that Netflix is a household name in the U.S.—and increasingly around the globe—it has become a notable producer of original series and movies. As Internet-distributed video first arrived, many believed it was a “new” medium comparable to television or film. In fact, it turns out that the Internet is less a medium than a distribution technology—a mechanism for sending signals—much like broadcast waves, cable wire, and satellite signals. But Internet distribution has different capabilities—mainly the ability to efficiently transmit different signals at different times. Earlier distribution technologies could only send one signal—or show—at a time. This capability has disrupted many of the practices of the television businesses that developed for those earlier technologies. The need to send a single signal led to norms like having a schedule of programs, and to channels that developed and organized that schedule. Channels bought shows from producers, organized them into a schedule, and sold the attention of the audience to advertisers. Internet-distributed video allows different revenue models and business strategies. For one, it allows the content producers to build commercial relationships directly with viewers. Notably, what we casually think of as “cable” encompasses two different industries—cable channels (companies that provide shows to watch) and cable providers (the companies we send money to when we pay the cable/satellite bill). The channels are launching Internet-distributed services so that they can reach homes seeking options other than the cable bundle. The digital infrastructure cable service providers deployed in the late 1990s has allowed them to transform into Internet-service providers—now a larger revenue stream for many companies. When we cut or shave our cable package, it usually means we use more Internet data, so they are positioned well to survive and thrive as a result of these changes. For decades, American television viewers have had no choice beyond giant bundles from cable and satellite providers. The ability to select particular content portals, as well as “skinny bundles” such as those from SlingTV, DirecTV (DTV) Now, and recently Hulu with Live TV, and YouTube Live, seems like earth-shattering change. But these new competitors don’t necessarily mean the death of cable channels. At last, a competitive marketplace in which consumers have choice in their television service is developing. Different customers have different complaints with the current system. Some are very price sensitive and seek lower cost options; others are happy to pay if it means eliminating commercials. Some only want to watch sports; others never watch sports. Some want programs on demand; others are content with what’s on. It’s not that a single new norm is replacing the existing model, but that many different options are emerging. The days of 90% of U.S. homes having at least a common set of channels is over. 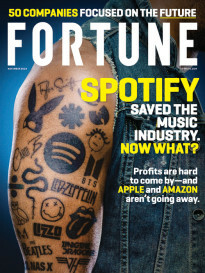 Media conglomerates have many revenue streams available, but have lost the leverage that forced us to pay for content we don’t want. These are Wild West days of experimentation as the various sectors that make up the television industry try different strategies. Viewers won’t have it all—we won’t pay less and have greater convenience and better content—but we will be able to choose which services we want to reward with our dollars. Channels and portals that provide something viewers truly want will win out, and programming viewers find truly valuable—as opposed to just “what’s on”—will become the new Holy Grail. Amanda Lotz is a professor at the University of Michigan, fellow at the Peabody Media Center, and author of Portals: A Treatise on Internet-Distributed Television and We Now Disrupt This Broadcast: How Cable Transformed Television and the Internet Revolutionized It All, available in early 2018.